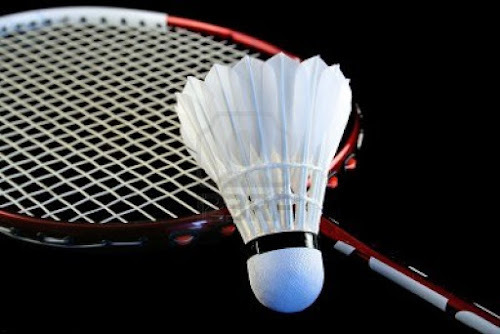 So many evenings I have spent playing Badminton with my siblings and parents. It was not just a game :D While growing up my parents encouraged me to play a lot of outdoor games. I used to cycle a lot too. It is one of my favourite game too. Pretty cool fun. Use to play with my brother as kids. lovely thought of sharing your favorites. Well....I was a PE teacher so I love outdoors and all kinds of games. As for badminton, we would set out all three gyms in our high school with badminton nets in spring and fall for a few weeks. It was easily the most popular game for our students. And there's no wind in the gym to interfere so it was great. I hate to say this but I don't know how to play this one. Everyone, literally everyone knows it. I was always an indoor person partly because we had no playing space where we grew up. Thanks, Indy! And I can imagine... badminton matches with your siblings are absolute fun! Same here, Shilpa. It's been ages since I played it! Shantala, I envy anyone who can cycle. My Dad tried so hard to teach me, but, in vain! Aah! I loved the Games period! Was quite a hooligan when it came to football.. My short legs running all over the place and acting like a total maniac..
Badminton wasn't one of my favourites even though I occasionally played it. My favourites were cricket and football. Played cricket for years and I think I only stopped when I moved out of home! Mithila! Football? Really??? But you get so dirty in that game! Ewwwww! Sanch! Another football player! And cricket! My God! I tried cricket with some neighborhood girls back when I was in school... didn't much like it... too much running! Same with football! I hate running!